Their girls are...well, how can we say adorable and gorgeous at the same time? Adorgeous? Gorgeousable? 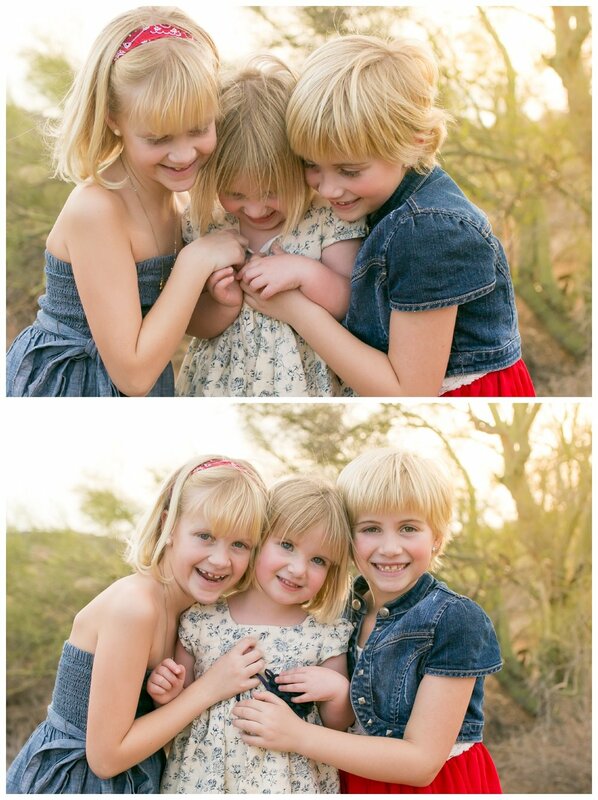 Either way, these three little ladies sure are it. They were all so funny and they each had their own perfect personalities! They totally had the "posing" thing down of course...I mean girls this gorgeous are probably born with the innate ability to just pose and be cute all the time, right?? Mom and Dad were absolutely awesome as well! Mom did such an amazing job dressing the whole family with the perfect blend of solid colors and prints. They were going for a subtle Americana look, and they obviously nailed it with those touches of denim, paisley headbands, vintage floral prints, and ALL those beautiful boots! Yeehaw! (Too much? Sorry...we kinda love boots). 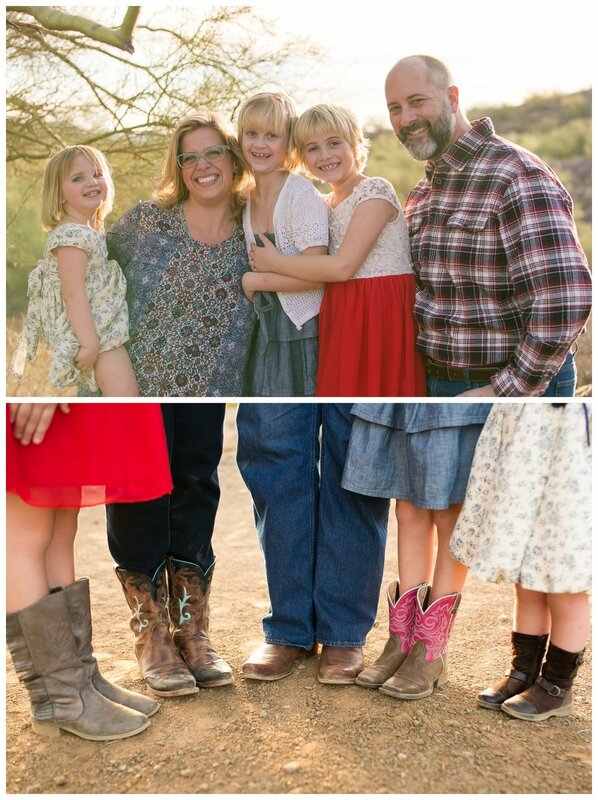 We had so much fun hanging out with the Lewis family out in the sun-soaked desert landscape of Phoenix for their Family Photography Experience! It's families like theirs that really make this job worth every moment! Thank you Lewis Family!